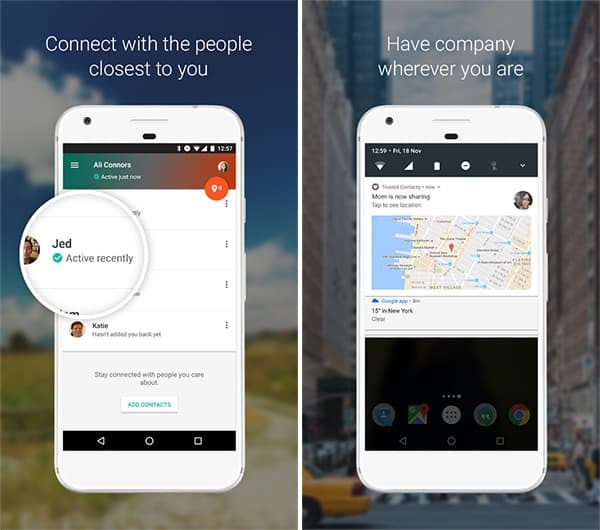 Google released a new app called Trusted Contacts just a few days ago. The Trusted Contacts app is currently available for Android and allows you to track your trusted contacts in real-time. Google attempted to implement the concept a while back through a service called Google Latitude which had most of the features included in Trusted Contacts but was discontinued in 2013. It might be almost three years since then, but Google didn’t give up on the concept. The new Trusted Contacts app is much improved compared to Google Latitude. The app is not a tool to spy on your friends and family, but a solution for emergency situations and when you want people you trust to be aware of your location for security purposes. Trusted Contacts works when the phone is out of network coverage, data or battery. With the app installed you can define your trusted contacts, and they will be able to view your activity status. The trusted contacts can quickly check if you’re only and moved recently. It’s also very easy to share your location with a friend and if someone you trust is concerned about you, they can request your location. Once a trusted contact requests your location you can deny the request or simply share the location. Nevertheless, if you don’t perform any of these actions within a certain period, your location will be automatically sent to your friend. 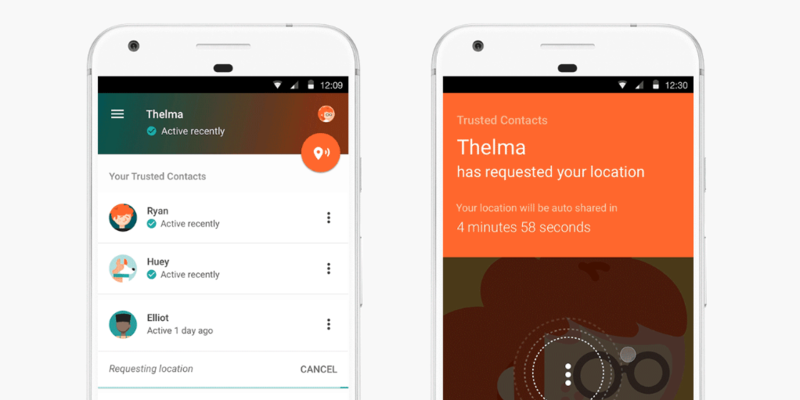 Even more, if you didn’t respond to the request because you don’t have network coverage or your phone ran out of battery, the Trusted Contacts app will send your last known location. If you’re familiar with the Find My Friends iOS app, then it’s obvious Trusted Contacts is very similar. This app can certainly be useful as it makes it easy to know if your friends, family or children are safe, and the other way around. Have you tried Trusted Contacts yet and what do you think about it?